No matter how it works out in the long run, the purchase of Symbian by Nokia marks the end of a dream -- the creation of a new independent OS company to be the mobile equivalent of Microsoft. Put a few beers into former Symbian employees and they'll get a little wistful about it, but the company they talk about most often is Psion, the PDA company that spawned Symbian. Psion never got much attention in the US, but it was a pioneer in the PDA market in the UK, and even to this day I think the Psion Revo is one of the two coolest-looking PDAs ever made (the Palm V is the other one). 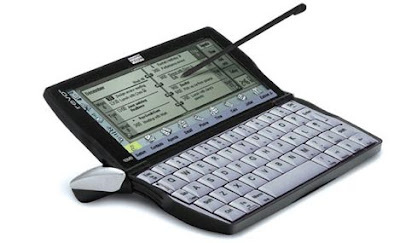 Psion explored many ideas that eventually turned into major new consumer electronics categories, but it failed to follow up on them. The company was effectively dismembered when Symbian was formed, and many of its best people drifted off to other companies. Now Symbian itself is transitioning to something very different, with most of its people absorbed into Nokia. What the Psion veterans talk about wistfully is how many smart people worked at Psion, how many great ideas the company fumbled, and how successful many of the people have been in the tech industry post-Psion. In this sense, Psion is similar to many other tech pioneer companies that assembled staffs of very bright people, taught them how to work together, and then blew apart like exploding stars, scattering the elements of new companies across the industry. This process dates back at least to Fairchild Semiconductor, which trained the founders of many of the most prominent semiconductor companies (link). You can find similar networks of former employees from places like Apple, Netscape, and Palm. I think Yahoo is in the process of forming a network now, and some day there's going to be a dandy one made of former Googlers. What makes the Psion story different is that many of the Psion veterans had to leave the UK, or join non-UK companies, in order to become successful. Some are in other parts of Europe, some are in the US, and some are in London but working for foreign companies. This is a source of intense frustration to the Psion folks I've talked with. They feel like not only their company failed, but their country failed to take advantage of the expertise they had built. There's a big body of academic research on why Silicon Valley has been successful in sustaining itself, and part of the reason is that the Valley recycles companies very efficiently. Failing companies do not last long, but in the process the brightest people and ideas are rarely lost, they are just shuffled around into new configurations. About a year ago, Andrew Orlowski of the Register wrote an amazing article on the history of Psion, and how company culture and government philosophy failed to take advantage of it to grow a new industry. It's the longest piece I've ever seen in the Register, almost the nucleus of a book, and it's well worth reading. It didn't get enough attention when it was published, and I'm embarrassed to say that I never posted a link to it. So I'm glad to remedy that now. If you want to understand the context what happened to Symbian, and learn a bit about how the tech industry works, go read it here. If you want to hear more about what Symbian is morphing into, two of its executives have just started personal weblogs in which they are commenting on the migration to Symbian Foundation (among other things). It's an interesting move, and it seems symbolic of the transition they're trying to make into the open source world. Previously Symbian had a company blog that several execs contributed to; now the execs have personal blogs where they talk directly to the industry. David Wood (Symbian's EVP of Research) link. John Forsyth (Symbian's Strategy VP) link. Posted by Michael Mace at 6:51 PM Permalink. 4 comments. Click here to read post with comments. Once again your blog is truly outstanding. Full of rare insights, I always look forward to your post for your analysis on current events in mobile space. It's a great piece of writing. I understand the thrust of your argument, but I take a different point of view. Rather than seeing this week's announcement as "the end of the dream", I see it as enabling "the enhancement of the dream". The commentary on your blog is very interesting (and educational). I encourage you and the other Symbian execs to keep up the open discussion. It's a key element of being an open source company. This blog, just like your others is outstanding. I really appreciate the time you put into it. I always look forward to your input and opinions on the world of mobile technology. I do a blog about WiMAX on http://www.goingwimax.com. Please comment on the website about how you feel about WiMAX and the site. I would love to hear your input on how, and if the WiMAX field will grow. If you would ever like to do some link exchanging, I would love my blog viewers to check out this site. Feel free to contact me!